Getting off the couch and running, or walking, at an event on behalf of Deafblind Scotland couldn’t be any easier. Whether it’s a fun run, a 10k or an ambitious marathon, we want you to be part of the fun. Sponsorship from your chosen event will go towards providing services and support Deafblind Scotland help those most in need. Registration is open for the 2018 Paris Marathon, taking place on Sunday 8th April. Join 57,000 runners taking in the Champs Elysées, the Bois de Vincennes and Boulogne, this race offers an incomparable backdrop, with spectacular views and landmarks all along the route. Been lucky enough to get a place for the London Marathon in the Public Ballot? Why not run for Deafblind Scotland on Sunday 22 April. Contact the fundraising team for a pack today! EMF 2017 takes place on May Bank Holiday Weekend – 26/27 May 2018. Full marathon, half marathon, team relay, 10k, 5k & junior races. Enter now! 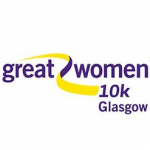 Scotland’s largest Women’s only run returns to Kelvingrove Park in June 2018. Whether you choose the 10k or 3k run, click here and choose Deafblind Scotland. After an incredibly successful event in 2017, the Men’s 10k Glasgow is back for another year, taking place on Father’s day, Sunday 17 June 2018 around Glasgow. The Big Fun Run will be back for 2018 in Glasgow and Edinburgh. 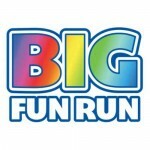 A fantastic 5k event for all the family. Register here to walk, run or dance your way round the course for Deafblind Scotland. New York has to be one of the most iconic cities in the world! 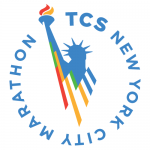 Got a place to run in the TCS marathon? Why not run for Deafblind Scotland whilst taking in the sights! Join over 30,000 participants in the Great Scottish run on the 29 & 30 September. Choose between the Super Saturday events, the 10k or half marathon…there really is something for everyone. Fundraise for Deafblind Scotland and help make a difference to those who need it. Looking for an event a bit closer to home on the 23 September? 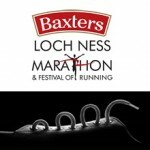 The Baxters Loch Ness Marathon covers all the family with the Wee Nessie, 5k, 10k and marathon. Contact the fundraising team for your pack today! The annual Berlin Marathon takes place on 16 September 2018. Ballot spaces are all gone but if you’re lucky enough to already have a space then contact the fundraising team on how you can raise money whilst taking part.